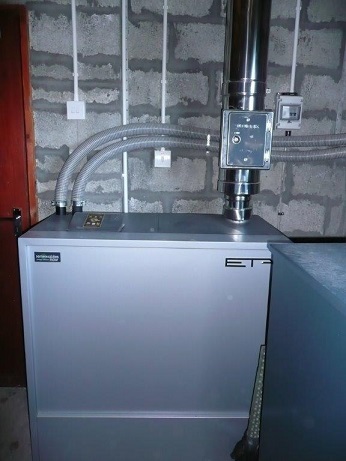 Receive RHI on heat requirement for space heating and hot water given on Energy Performance Certificate, paid quarterly. Well worth doing. Used approximately 2,400kg from installation in Feb 2014 to Feb 2015. Boiler switched off over the summer as hot water provided by PV, which also supports the hot water through the winter.